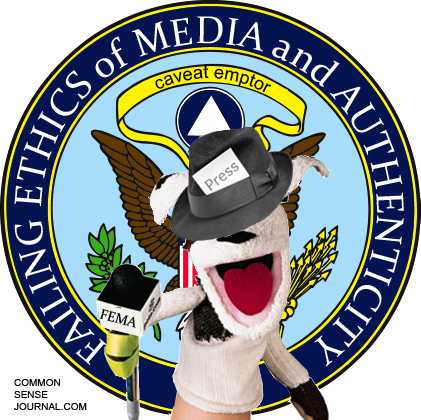 A few journalists are reporting on how FEMA recently staged a fake news conference. I’ve been reading about it over the weekend and saw that Michelle Malkin is covering it as well. Using Photoshop, I created a new logo for them!